Published October 6, 2018 by Jovana R.
As soon as that wind starts blowing like crazy, I know my lips need some extra care and protection. And buying a lip balm is simply not an option since – well, how many times were you really satisfied with a commercial lip balm? When making your own products, you can be sure you get only the best of the best – quality ingredients, natural care, no harmful stuff, soft, smooth and sensual lips and noticeable improvement of their general condition. This is the best recipe for DIY lip sugar scrub ever! Coconut oil, jojoba oil and honey are extremely nourishing and provide your lips with all they need to be soft, smooth and supple. White and brown sugar will gently exfoliate your lips and remove all the flakes and dry skin. Out of all DIY lip scrubs I’ve ever tried out, this one is by far my favorite! Heat up the coconut oil. You don’t need to melt it completely, but it has to soften enough so that you can mix it with other ingredients. Mix coconut oil, jojoba oil and honey. Once the mixture is smooth, add both white and brown sugar. Transfer your Coconut oil DIY lip sugar scrub into a small glass container. Use it a couple of times a day to keep your lips soft and gentle and to prepare them for winter. You can find here 5 more ideas for DIY sugar scrubs. 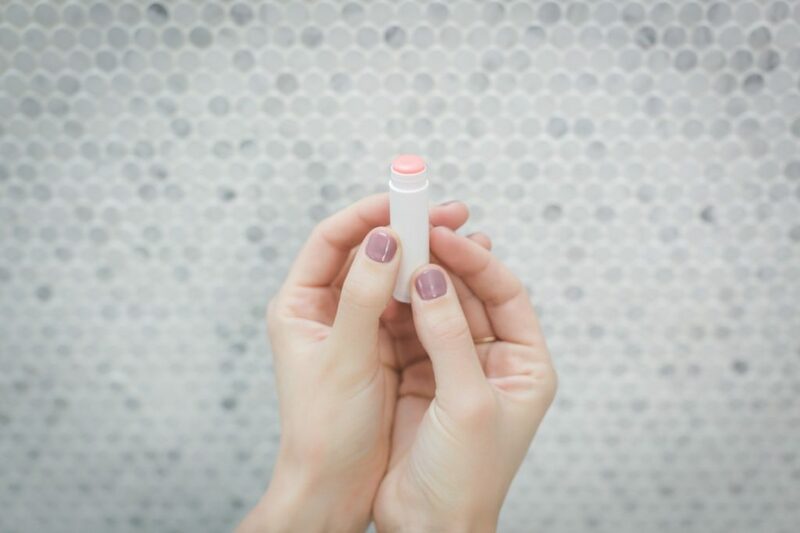 This DIY lip balm recipe is super simple and easy to follow. And the smell of oranges and vanilla is perfect for this time of year, able to warm you up even during the coldest days. Heat up the Shea butter and jojoba oil until Shea butter melts. Remove from the heat and stir until it cools down just a little, but don’t wait to thicken again. Then add Vaseline and essential oils and mix everything together. Pour the mixture into a small glass container. Use it to coat your lips as often as you can. Personally, I love DIY lip balms without beeswax, because beeswax makes them too thick for my taste. DIY lip balm with Vaseline and without beeswax is a perfect combination for me and gives the best light, creamy texture. But if you like your lip balm to be thicker, feel free to add beeswax or soy wax (the amount depends on how thick you want your lip balm to be) to Shea butter right in the beginning of the process and melt them together. 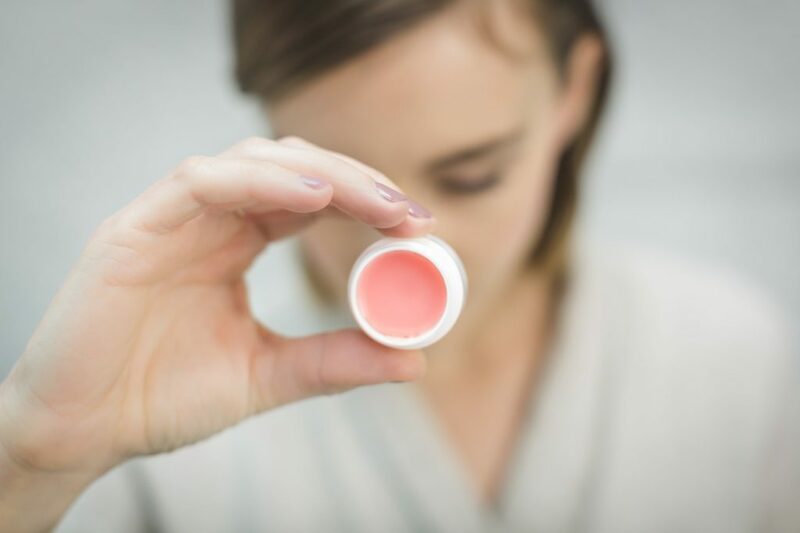 Using the Coconut oil DIY lip sugar scrub and Shea butter DIY lip balm on a regular basis improves the blood flow in your lips, making them look lush, full and naturally pink. If you’d like to make your lips even fuller and more sensual, try out this DIY Lip Plumper. Next Post Would You Dye Your Hair with DIY Kool Aid Hair Dye?